I'm currently talking with my publishers about putting this material into cool little giftable book form. 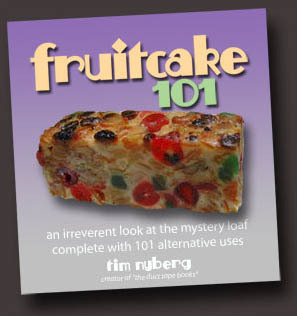 If you think about it, "Fruitcake 101" is perfect gift to give with your gifting (or re-gifting) of fruitcake. 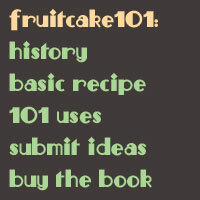 Just think - if the recipient hates fruitcake, no worries, you've given them 101 things to do with it and acknowlege that it's really a joke. So, check back here soon to see who the lucky publisher of this little gem will be.